A yearly trip. 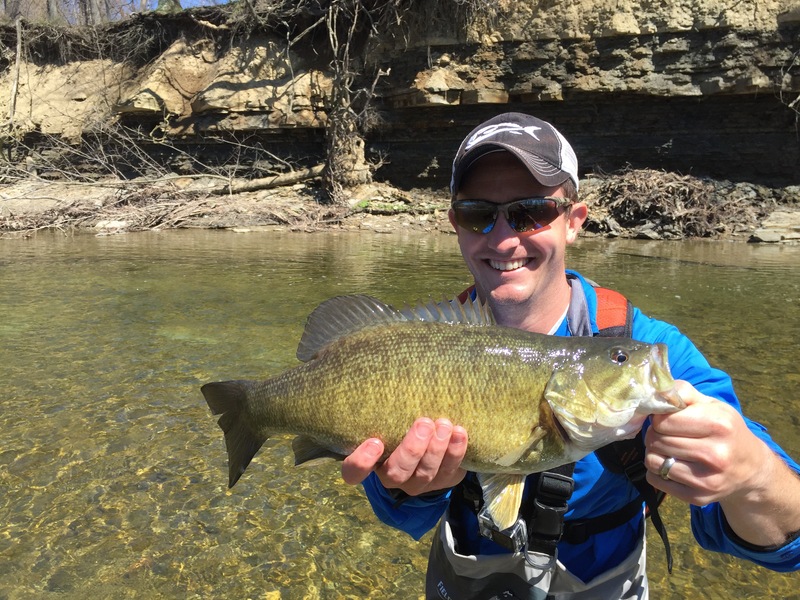 Ryan and I look forward to the smallmouth runs of the Erie tribs all year long, even more than steelhead runs. This year the fever was contagious. RF blogger Justin got to join us to rip some solid lips. Ryan and I scouted Thursday evening and found fish right away. 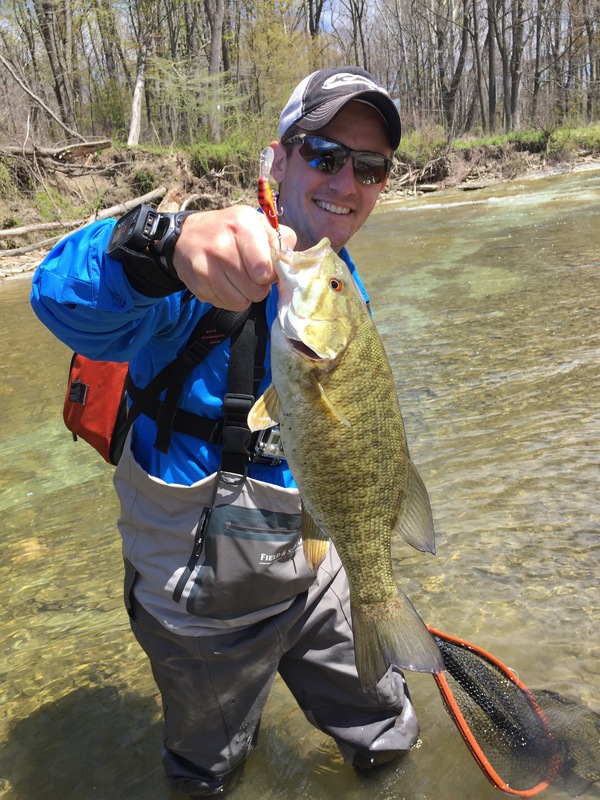 Third cast had Ryan losing a smallie. Game on. We found lots of fish on Elk Creek. Bonus were stocked brown trout from the opener. We caught plenty of both on wee craws, minnows, and jigs. The battle is not the biggest or most fish. 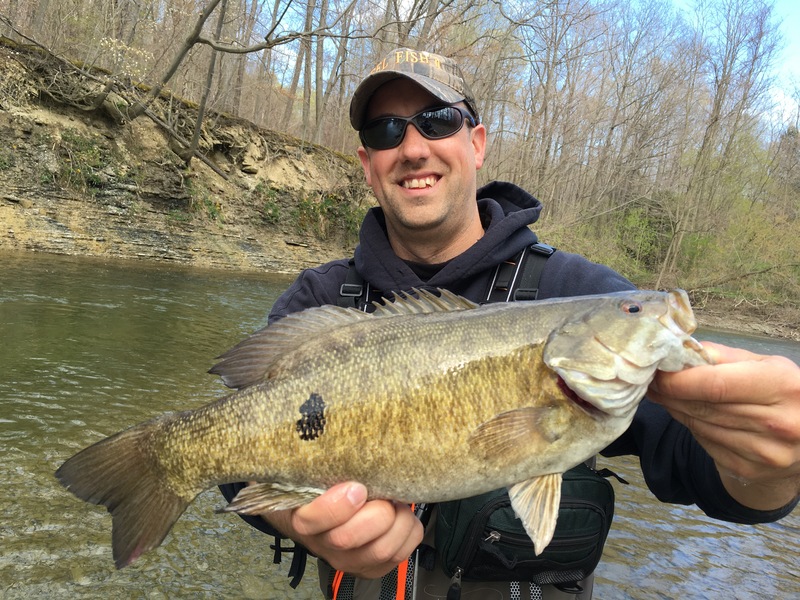 This trip usually brings high numbers of solid smallmouths. It’s all about the species. It wasn’t even close. After the trash talking settled and we got to fishing, Ryan took an early lead with a nice steelhead. He crushed my dreams shortly after with two suckers that actually chased down the lure. Dagger. Brown trout, smallmouth, sucker, and steelhead. Big lead. ning trip and looked forward to Justin joining us in the morning. Bright sunny skies, crystal clear waters, and a few more fishermen made things a little tougher. After some walking we started to think about a move. Justin showed it wasn’t needed. He found a small hole that was loaded with fish. Cast after cast we crushed fish. He pulled the biggest of the trip after an awesome jump out of the water. Again Ryan showed his species dominance. We caught up to him just to see him hook and land a steelhead. Dagger. Another great trip with lots of fish and fun. I’m sure Justin will be back next year! And I’m already researching sucker baits.